ATV-quad rentals Crete - Heraklion, ATV hire Crete - Heraklion. 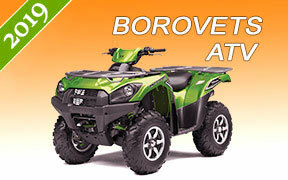 The most convenient and cost effective way to RENT AN ATV-QUAD IN CRETE - HERAKLION, GREECE. We offer different kind of quad bikes for rent via Motoroads.com - 2WD, 4WD, youth, sport, utility, two riders up, and all terrain vehicles. Our ATV rental fleet in Crete - Heraklion is built of reasonably priced new and used quad bikes at attractive rental rates. We also provide all the necessary ATV gear and riding equipment to make your trip safe and pleasant. Being long in the ATV-quad rental service, we know what you expect from us, and how to treat you - CUSTOMERS SAY IT ALL! We value our returning customers and reward them with great discounts for all quad bike rentals. Also, check our hot deals for motorcycle rental, scooter hire, bicycle rent and snowmobile rentals in Crete - Heraklion. Contact us for our ATV-quad rental services in Crete - Heraklion.